After months of pressure from the National Highway Traffic Safety Administration (NHTSA), yesterday, Takata Corporation, a Japanese company and one of the world’s largest suppliers of airbags admitted that their airbags are defective and has agreed to double the number of vehicles recalled in the United States to approximately $34 million, that is, one in every seven vehicles in American roads. 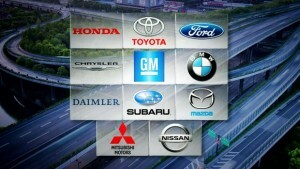 The expansion affects vehicles made by BMW, Chrysler, Daimler Trucks, Ford, General Motors, Honda, Mazda, Mitsubishi, Nissan, Subaru and Toyota. The NHTSA has established a new website, to provide regular updates on the status of this and other recalls and of NHTSA’s investigation, which can be accessed here. In the official statement released by Takata Corporation, agrees to take action to address public safety concerns involved in NHTSA’s investigation of the company. Additionally, In accordance with the Consent Order, Takata states that it has filed with NHTSA four Defect Information Reports, which contemplate that the aforementioned expanded recall by vehicle manufacturers, to be overseen by NHTSA, covering several types of driver-side and passenger-side inflators manufactured by Takata. You can find Takata’s complete statement here. The Consent Order requires the company to cooperate in all future regulatory actions that NHTSA undertakes in its ongoing investigation and oversight of Takata. Furthermore, NHTSA announced its intent to begin a formal legal process to organize and prioritize the replacement of defective Takata inflators under the agency’s legal authority. Airbags made by the Takata Corporation have a potential defect when they deploy. Some have ruptured, sending metal fragments into the car. So far, 6 fatalities and more than 100 injuries have been linked to the problem. If someone you know has been injured by a faulty product or need representation or advice on whether or not you have a case against a bad product or service, call the Friedland | Carmona Today! Our lawyers have extensive experience in products liability and the personal injuries that result from them, and can help you get the compensation you deserve. The Broward County product liability attorneys at the Friedland | Carmona handle all types of negligence, product liability, personal injury, negligent security, slip/trip and fall, and car accident cases throughout the state of Florida, including Boca Raton, Homestead, North Miami, South Miami, Miami Beach, Coral Gables, Pembroke Pines, Hialeah, Kendall, Aventura, Fort Lauderdale, and Palm Beach. The Friedland | Carmona handles all types of personal injury cases, including wrongful death, defective products, medical malpractice, slip and falls, negligent and reckless drivers, and automobile and motorcycle accidents. Call the Miami personal injury attorneys today and let our family take care of your family.